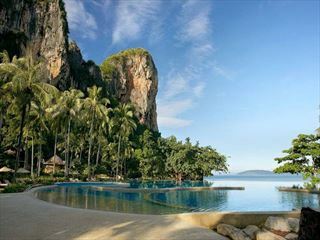 In the secluded Pai Plong Bay, the resort backs onto a verdant limestone formation. Hosting magnificent ocean views, you will access the resort via our scheduled speedboat service from Nopparatthara Pier. 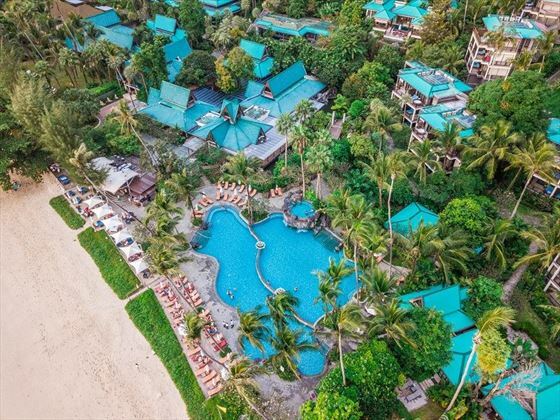 Krabi is a dream destination for adventurous travellers: diving in the Andaman Sea, exploring caves and the shoreline from your canoe, and much more – all within easy access of the resort. 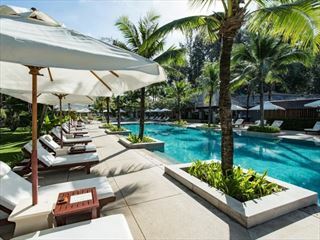 Despite the air of remoteness, the resort is a short boat ride away from the entertainment and dining opportunities of neighbouring Ao Nang. 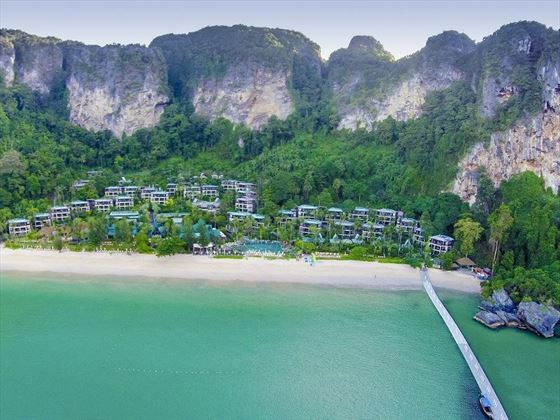 Those looking for an exhilarating experience will try out rock climbing against a picturesque background of sea at Railay Bay, one bay away from the resort and connected by scheduled boat service. 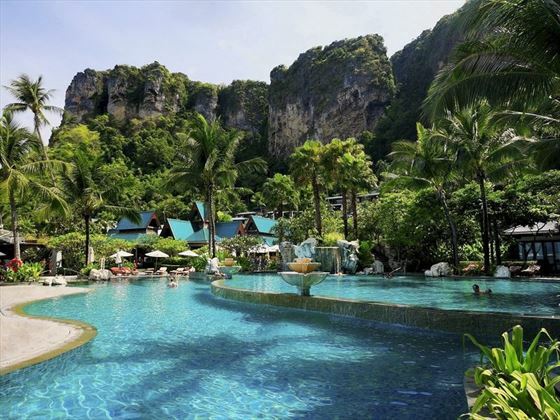 Krabi International Airport is 40 minutes away from Nopparatthara pier, approximately 15 minutes from the resort by boat. 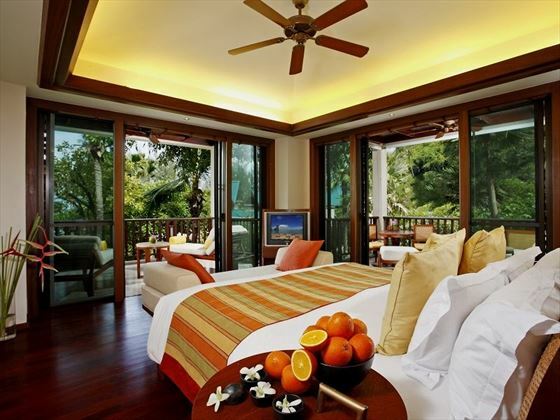 Deluxe Garden View - Comfortable 72sqm rooms with lovely views of the lush gardens from the furnished balcony. Sleeps three adults or two adults and three children. 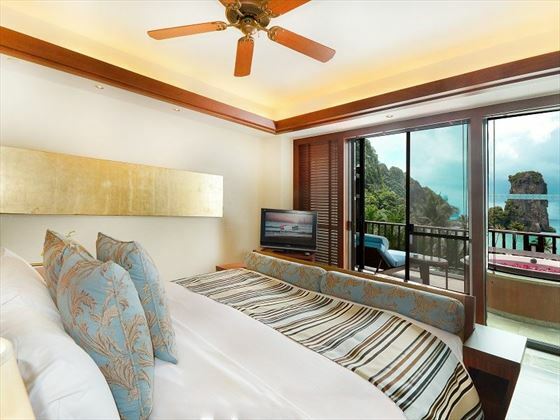 Deluxe Ocean Facing - The same size and tropical decor as before, this time with views of not only the pretty gardens, by Pai Plong Bay, too. Sleeps three adults or two adults and three children. 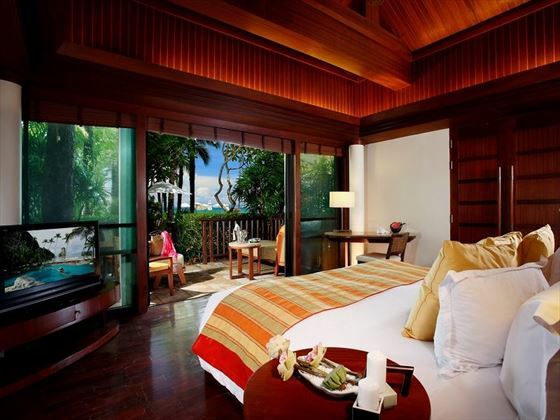 Premium Deluxe Ocean Facing - Slightly larger at 77sqm, these gorgeous rooms overlook the bay from the oversized baclony. Sleeps up to three adults, or two adults and three children. 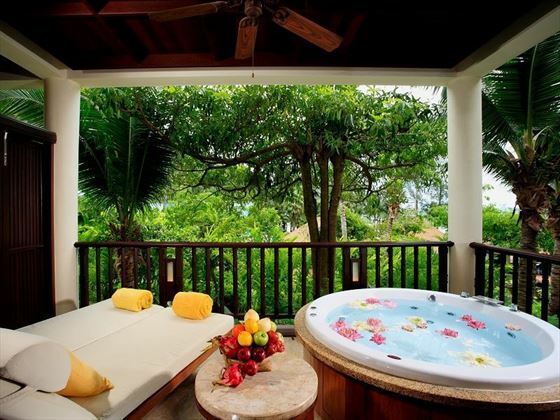 Spa Deluxe Garden View - A relaxing room with 77sqm of living space and it's own outdoor Jacuzzi. Sleeps up to two adults and one child. Spa Deluxe Ocean Facing - Boasting picturesque views of the gardens and the bay, these 77sqm rooms feature a arge balcony adorned with a Jacuzzi and sun loungers. Sleeps up to two adults and one child. One Bedroom Beachfront Villa - These wonderful 96sqm villas offer easy access to the swimming pool, a living room, large windows that let the outside in, a spacious terrace for outdoor lounging, and an ocean-facing bedroom. Sleeps up to three adults or two adults and one child. 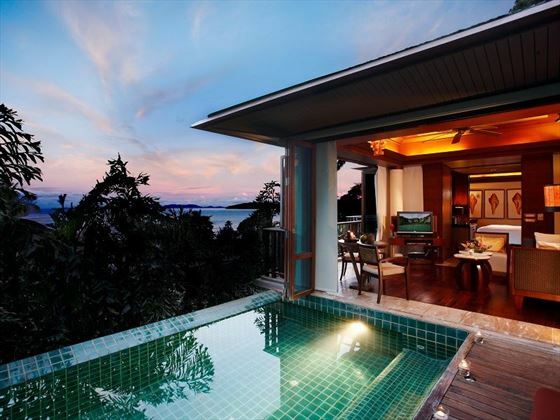 One Bedroom Ocean Facing Villa with Pool - Secluded 111sqm villas overlooking the sparkling bay, boasting its own plunge pool, a large outdoor lounging area, an ocean-view bedroom, and a living and dining area. Sleeps up to three adults or two adults and one child. 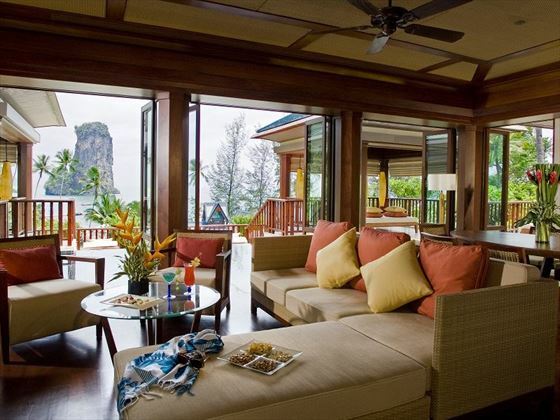 Two Bedroom Beachfront Villa - Sublime 167sqm villas nestled on the resort's sugary sand bay. The retreat boasts an open-air terrace for wonderful sunset views, a master bedroom, a second bedroom with two double beds, and a living and dining area. Sleeps up to four adults and three children. 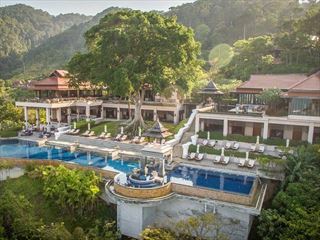 Royal Villa - The most luxurious of villas, offering 339sqm of living space and incredible Pai Plong Bay views from its hilltop location. 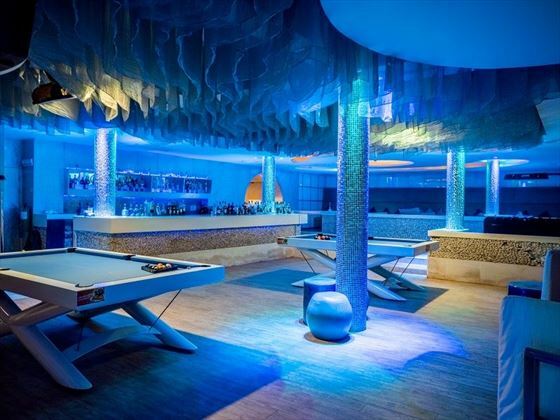 Boasting an ocean-view Sala, a 40-metre private pool with Jacuzzi, a private entrance, two bedrooms (one with a king size bed, the other with two double beds), a huge living room, your own Villa Host, and even access to the Club Lounge. 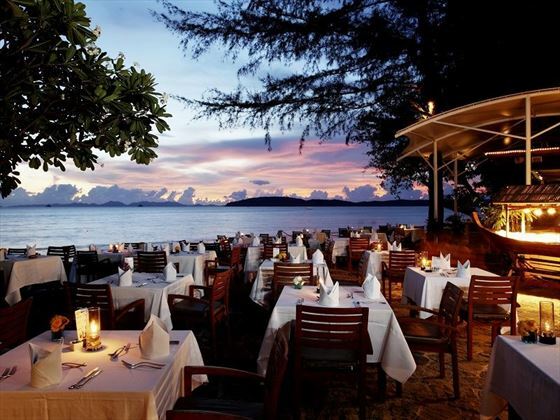 Lotus Court restaurant serving Asian and international cuisine for breakfast lunch and dinner. 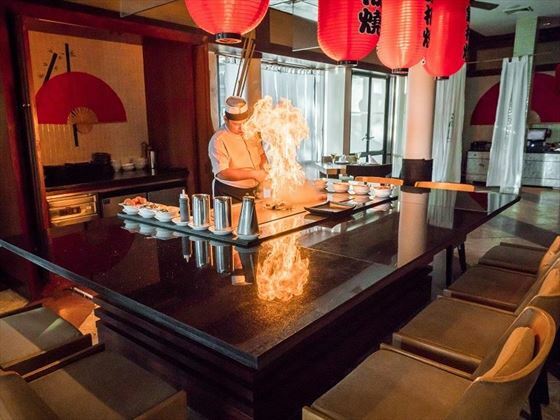 Hagi restaurant offering Japanese cuisine. Honeymooner's are requested to produce a copy of a valid Wedding Certificate on booking and check-in. Wedding Anniversary couples are requested to produce a copy of a valid Wedding Certificate on booking and check-in. Anniversaries celebrated are 1st, 5th, 10th,15th, 20th, 25th, 50th and onwards.